The 18-year-old does the laundry because he is the "clothes horse" in the family. I gave up trying to keep up with his demands for "clean" clothes - every day! - had he never heard of "seasoned jeans"? - so I gave him the task of doing the laundry. I decided not to spend a long time telling him how to sort said laundry - too much information might have just put him off and anyway, I had given up being the perfect mother years ago. So, a lot of clothes from laundry baskets just get dumped into the washing machine and we hope for the best!!! I did once mention that the "smalls" shouldn't get washed with the throw rugs - just a thought! Anyway last weekend I had placed a vest that I had knit in chunky Alpacalicious yarn on the banister so that it might finally make its way downstairs and into my bag to take to work. Now banisters are tricky... "things" have been known to fall off banisters either onto the stairs or into the laundry basket. You guessed it. 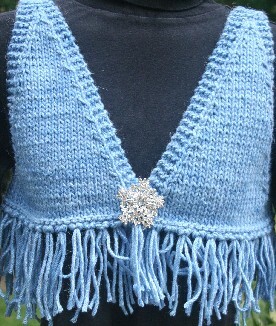 My wool vest ended up in the wash. By some miracle it escaped the dryer, but it still looked liked a drowned rat!! I put it on a hanger and prayed. Well it dried out and looked great! It was softer than before. 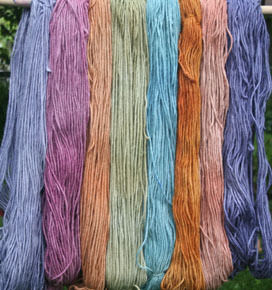 The dye hadn't run; it didn't pill, it kept it's shape and I love the yarn even more than I did before!!! One skein makes the vest & the pattern is free!! !